You want to know what can take these from “Oh my god these are fantastic” all the way to “OMFG if I stop shoveling this into my mouth I will die” in two seconds flat? Garlic toasted buns. That’s right folks. 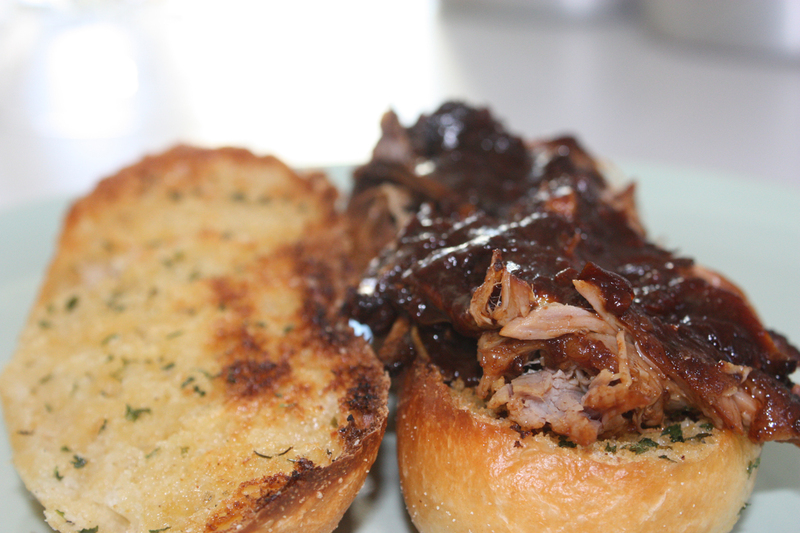 Slather some garlic butter onto the buns before you toast them, maybe a hint of garlic salt and some parsley flakes too, then load them up with BBQ sauce smothered pulled pork and dip them into the extra sauce. I did it. All the cool kids are. This pork is just all torn up over something. Groan. To make this sauce for the pulled pork you have to multiply it by 4. You can always just head off to the grocery store and use your favorite brand. 1. Heat the oil until shimmering the add the onion and cook until translucent and softened. Stir in the garlic, chili powder and cayenne and cook until fragrant, it only takes about 20 seconds. 2. Stir in the remaining ingredients and simmer, stirring occasionally, for 25 minutes. Season with salt and pepper to taste. Cool to room temperature before serving (if you’re using this on the pulled pork you don’t have to cool it before pouring it into the pot). 3. The sauce can be refrigerated for 1 week, or frozen up to 2 months. 1. Season the pork with salt & pepper and place it in the slow cooker. Pour the bbq sauce over it, cover, and cook (low for 7-9 hours or high for 10 to 11 hours) until fork tender and falling apart. 2. Transfer the meat to a large bowl and let cool. Let the cooking liquid settle for 5 minutes, then skim off the fat. Season with a little dash of cider vinegar and Frank’s Red Hot sauce if you want to. 3. When the meat is cool enough to handle, shred it using your fingers, discarding any excess fat. 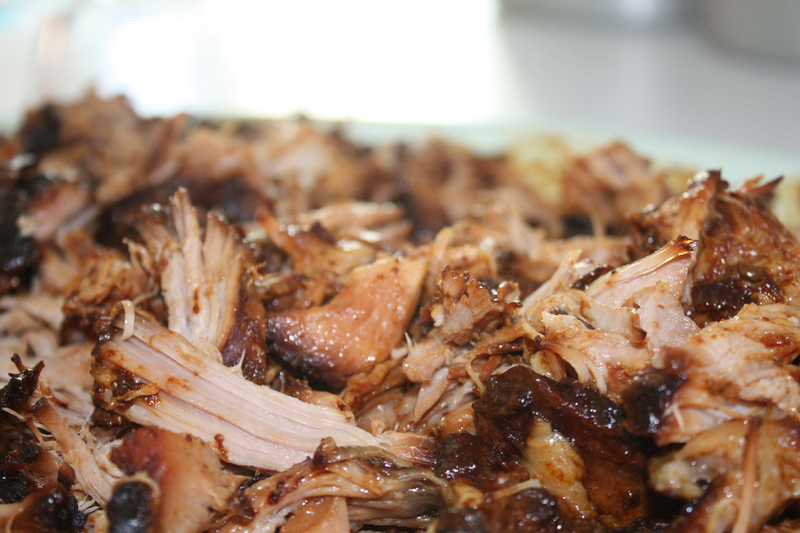 Toss the shredded meat with 1 cup of the cooking sauce and serve on toasted buns. Keep extra sauce for dipping. I grabbed these from my go-to kitchen bible of the moment, America’s Test Kitchen Family Favorites. Get it. Right now.